In medicine this is the time of year when one season ends and another begins. New doctors graduate medical school. They are excited and at the same time scared as they enter into residency training. Interns become residents. Senior residents celebrate moving into attending positions or look forward to subspecialty training in fellowship programs. It’s the excitement of completion combined with the uncertainty of charting a new course in medicine. Each new level in your medical career presents the opportunity for personal growth. There is the opportunity to learn more about how to balance life with the demands of patient care, learning and teaching. It’s a time to enhance your skill set while integrating the latest advancements in technology. And it can be overwhelming. It is essential for doctors to take the time to get focused and breathe life into the new phase of their medical careers. Often we forge ahead into the next stage without a plan. When we encounter a snag or roadblock, we succumb to the stress and overwhelm of the situation and then look outward into the culture of medicine for the solution. Suppose we found strategies that empower us to find answers to meet our unique needs. The best time to do this is when our energy is high and positive and we are in a place of celebration. That is the time when we can begin to design our life and career, instead of merely living by default. 1. Celebrate all that you have accomplished. It is through the years of commitment, hard work, long hours, and saying No to things that you wished you could have said Yes to, that has resulted in your current level of success. As you say goodbye to one season, acknowledge what you have learned, how you have grown, and what areas you desire to further nurture. Before the actual transition takes place, sit quietly for 30 minutes in gratitude for the journey. 2. Reflect on the experiences that revealed your weaknesses. Celebrate these times as well. They may just turn out to be your greatest gifts. Celebrate the awareness of your triggers and the strategies to circumvent them and reframe them. Celebrate how you overcame challenges that at the time seemed insurmountable. Who was there to support you at 2 AM when your patient experienced a clinical deterioration? What knowledge and skills do you possess and use to respond appropriately? Instead of just being happy that it is over, make a list of the qualities and assets you now have because you navigated the experiences. 3. Set intentions for the next phase in your career. 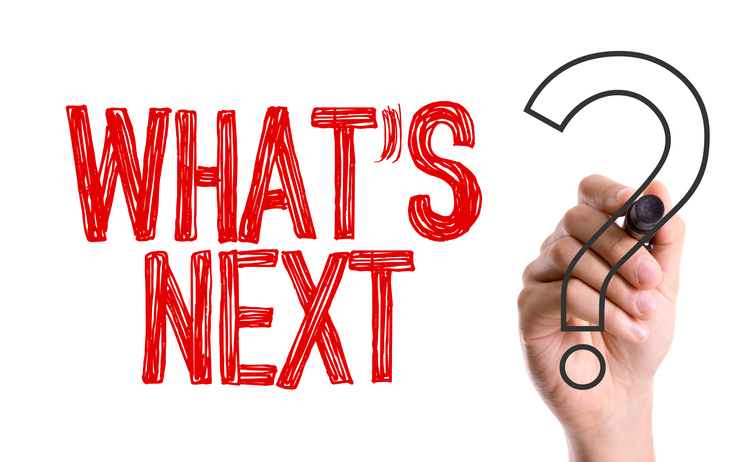 Whether you are moving into an attending position, excited to start fellowship, or moving from one year to the next in your current role, set 1-3 goals for your personal life and medical career. People who set goals are more likely to achieve them as compared to people who just allow life to show up by default. Set goals for the next 90 days, 6 months, and 1 year of your life. Consider goals in every area of your life: career, health, finance, relationships and family, and spiritual and personal development. As a doctor you are more than the MD after your name. You are a complete person. A successful medical career requires you to be successful in all areas of your life. It happens when you invest in yourself. Dr. Stephanie Wellington, a practicing physician, life coach and founder of Nurturing MDs, helps women in medicine unapologetically own their value, recognize their strength, and balance their life. 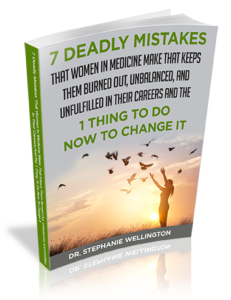 Get your free guide 7 Deadly Mistakes That Women In Medicine Make That Keep Them Burned Out, Unbalanced, and Unfulfilled In Their Careers & 1 Thing To Do Now To Change It. Learn how Dr. Stephanie can help you at www.NurturingMDs.com.